Apologies for the unimaginative title! My NOTD today is using Sinful Colors Scandal which I hauled a while ago (see my previous post here). It’s a cute hot pink colour which unfortunately I forgot to take a photo before Konad-ing but you get the picture. Scandal was kind of a pain to apply because if you have too much loaded onto the brush a great big bead of polish comes gusingh down and floods the entire nail. It wasn’t too bad though having said that and above is 2 coats with full nail pattern using Konad plate m71 with Konad Special black polish. ooohh!! love the color!! and of course the konading!! 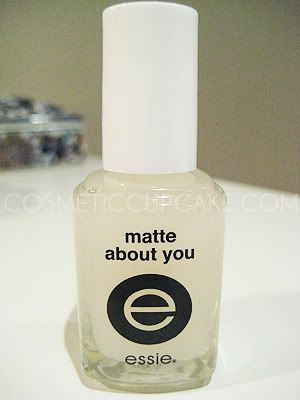 :) yep, i prefer the manicure glossy too. @xnosugaraddedx: Thanks! I wish I hadn't matte-d it lol. @Asami: Hmmm now that you mention it, it did go on a bit jelly-like.. but I'm not experienced enough with jelly polishes to be certain sorry! @Meme: I'm totally loving Sinful Colors. Such a great range of colours and the bottles are really cute. They aren't stocked in the stores here unfortunately but I managed to track them down! Hmmmm glad to know the prices aren't too jacked up - they sell for $3 here. love that Konad design! Im in melbourne Vic and we have sinful colours here, I got some on special for $1!